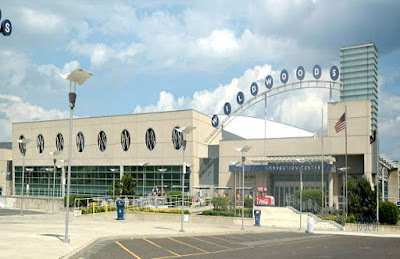 The Wildwoods Convention Center is located on the southern end of the Wildwood Boardwalk in New Jersey. 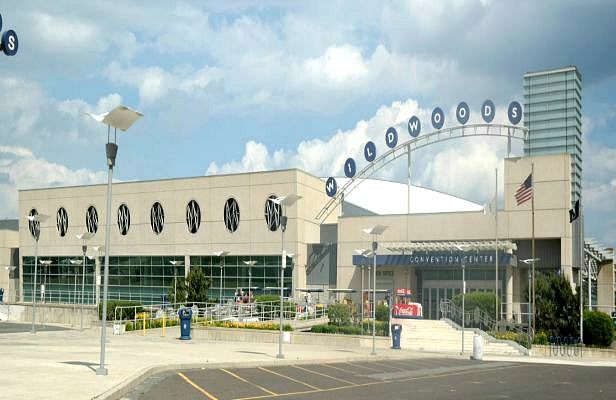 The convention center hosts all kinds of different events ranging from corporate business events, music concerts, wedding receptions, trade shows, sporting events and more! Their official location is at Burk Avenue and the Boardwalk. It's a 260,000 square foot facility that sits on the boardwalk and overlooks the beautiful Atlantic Ocean. It's massive in size, very modern and clean. There is on-site parking for visitors or you can easily walk to it from most of the hotel locations that are located up and down the boardwalk. In addition, during the summer season you can always ride the Sightseer Tram Car to get there. If you're looking for the perfect place to get some photos of the family to remember your vacation to the beach, you're at the perfect place here! Millions of visitors every year pose for photographs with the Wildwood Beach Balls (shown in the photo above). You can learn more about the Wildwoods Convention Center by visiting their site online. You can also check out the calendar of events to see what kind of events are coming up and when. For some of the events hosted there you can buy tickets for them online through TicketMaster.com. Every time we visit an event hosted there we always have a great time...especially during the music and sporting events. We highly recommend it. It is good to know that if I am able to visit Wildwoods there is a convention center there that hosts both musical and sporting events. You always have such a good relaxing time when you go there on vacation.